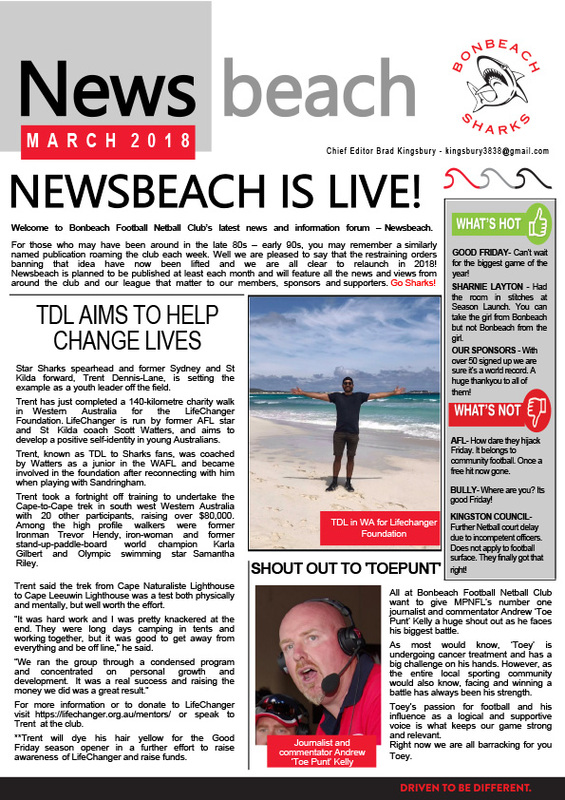 Bonbeach Football & Netball Club – DRIVEN TO BE DIFFERENT. Bonbeah Netball Club entered the MPFNL in 2010 and has been developing since. After struggling to get wins on the board, we undertook a re-structure in 2015 which has resulted in a vast improvement in our results, player number and retention and growth and development. As a club, our aim is to continue to expand and work further towards our goal of becoming a serious league competitor. To achieve this, we are increasing our squad and in 2018 and will field five teams. Four teams will compete in the MPNFL, and one team will compete at the Frankston District Netball Association (FDNA). This is a great step towards our club’s growth, and a necessary step towards promoting and developing a higher level of competitiveness in the MPFNL home and away season. We have an umpire development squad, which includes the training and badging of umpires. We offer a cafe service at home games and encourage all our members and players to assist with its running. We have experienced and dedicated coaches that work hard to improve the skill level and competitiveness of all members. We also have amazing, modern facilities and we are excited to continue to grow and develop all aspects of our club. In 2018, we welcome back Louise Manders as our head coach. We are also excited to welcome Theresa Blaauw and Sarah Gales to our coaching team; both passionate dedicated and experienced netballers. In other news, we are incredibly excited to announce that we have received a grant to build two new outdoor courts. These are scheduled to be ready before the start of the season (end of March 2018). 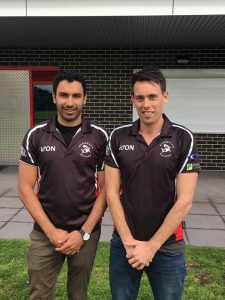 We would like to acknowledge our coaches, umpires, players, past-players, friends, family and volunteers, who have all contributed to the successful club that we are today, and we are looking forward to a great year in 2018. We are having two new courts being built for the 2018 season! Work is due to commence this month and they will hopefully be ready for the beginning of the season. Training is held on Thursday nights at the club, with ranging times for different grades and we partake in the home and away season alongside the football club. Our compulsory training night is Thursday 6.30 – 8pm. 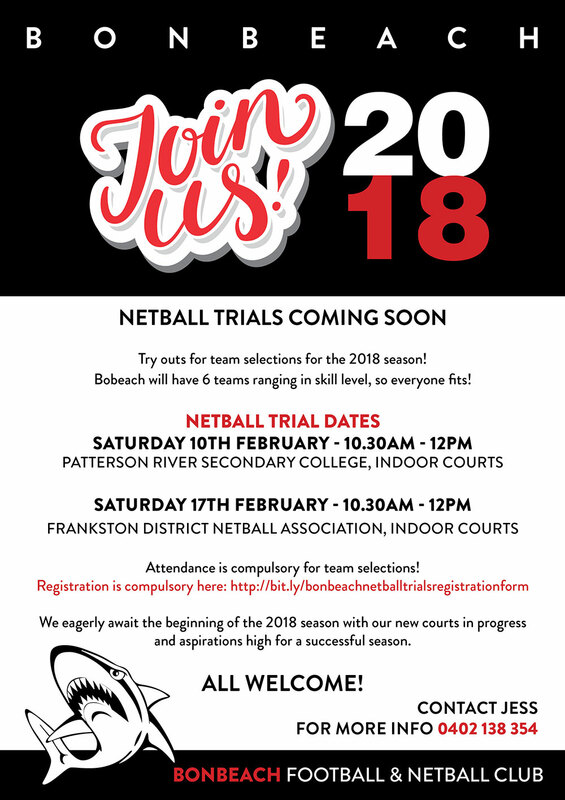 We will have fifth team in 2018 which will be entered into Frankston District Netball Association Saturday Competition. We are always happy to welcome new members and always on the lookout for volunteers to assist with the running of match days. We also have some great sponsorship opportunities on offer. If you or anyone you know would like to be involved with our wonderful Netball Club please don’t hesitate to contact us. At Bonbeach we believe Winning in Life=Winning in Sport. This is the foundation of our vision. Our club has a clear focus and expectation on welfare, development and pathways. We are committed to the development of all our stakeholders; our players, volunteers, sponsors, supporters and the community. 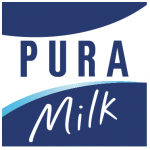 Bonbeach Football Netball Club is pleased to announce its partnership with new co-major sponsor Outside The Locker Room. 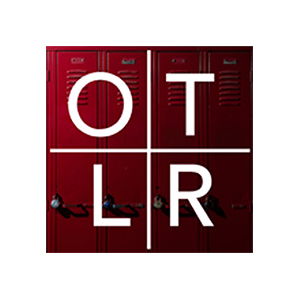 OLTR joins Hocking Stuart as major partners for 2017. We are thrilled to build on the success of the OTLR program in 2016 and assist in endorsing and facilitating the program throughout Bayside. 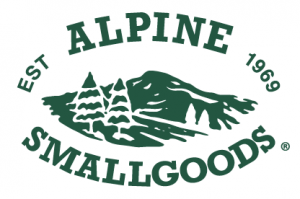 This significant sponsorship investment in our club will provide sizeable benefits to both club and program moving forward. In 2017 Bonbeach takes the program a step further officially partnering with OLTR while securing employment and ambassador positions to players Brad Sykes and Trent Dennis-Lane. Together with OTLR, Bonbeach is assisting the program’s establishment in the Bayside area. Together with OLTR, we are excited to extend our commitment on welfare and development to the wider football and netball community. View the official release here. Bonbeach Football Netball Club is thrilled to announce the formation of its Football Academy for season 2017 and Beyond. This is an exciting step as both junior and senior clubs galvanise their approach to fostering an inclusive supportive transition through the senior age groups onto senior football. – Senior coaches and captains attending junior games and presentations throughout the year. – Senior club player interaction as per 2016 via a roster for senior group players to attend training and assist junior coaches. ii) Personal development and relationships. – Host ‘Outside The Locker Room’ program for U/16, U/17 and U/19s. 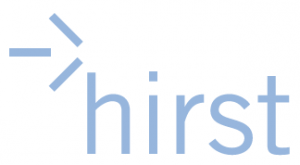 -Building relationships with players. The 3 age groups of U/16, U/17 and U/19 can get to know each other through their regular interaction during the season. Learning from each other can be just as powerful as learning from a coach. Little brother and big brother theory. Building a sense of belonging through dedicated group activities. Volunteering at the senior club will also be a focus. iii) Assisting growth in Girls football. – Support Junior club where required via access to facilities, coaches and promotion. iv) Promotion of the Academy. -Assist in attracting local players. Ensure Bonbeach YCW becomes an attraction for local juniors and their families with the programs that are on offer. A destination path for local players and parents looking for a supportive transition to Senior football. Bonbeach football netball club is thrilled to announce Trent Dennis-Lane as our first key signing for season 2017. 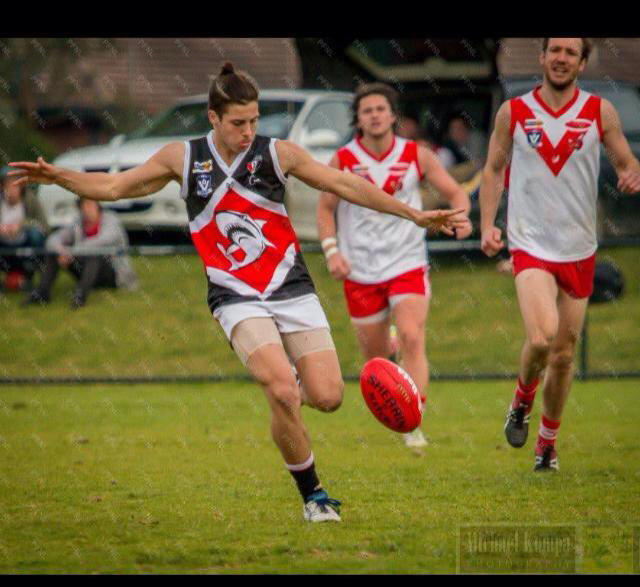 Originally from Subiaco TDL played 29 games with Sydney and Stkilda before leading Sandringham the previous two seasons. We are thrilled to lure a player of Trent’s calibre to Shark park. It’s testimony to our clubs direction in securing the services of a VFL captain and at only 27 years old Trent has many years of football ahead. Trent was instantly impressed with our clubs professional approach and it’s foresight in planning for sustained success. Trent will relish the opportunity to partner with coach Steve Hughes and will provide a further leadership layer to our young developing group. We are excited to have finalised our 2019 Sponsorship packages. 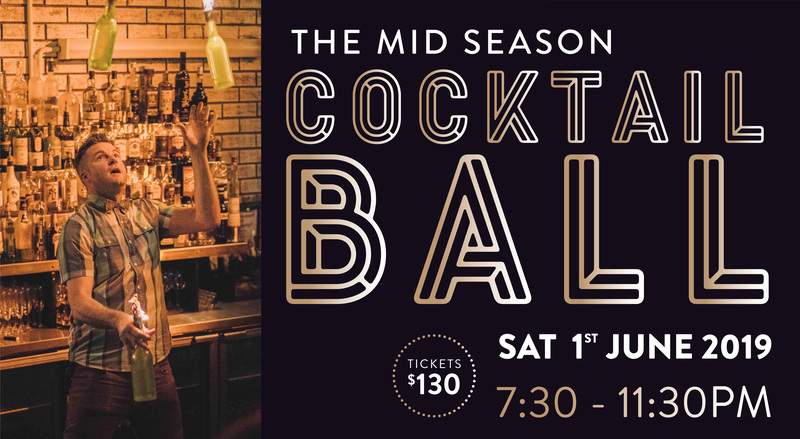 Season 2019 promises to be the year of first class events – Coming in June the largest Bonbeach mid-season Ball ever held, followed by our Community match day and our favourites, Sponsors day, ladies day and our annual Business Lunch. 2019 sponsor packages offer better value than ever. At Bonbeach we are proud to offer a different local football experience. There has never been a better time to get behind local sport. We are committed to working together with sponsors to ensure both club and business can benefit from a strong long term alignment. For Sponsorship enquires please email sponsorship@bonbeachsharks.com.au. Here’s your opportunity to support the Bonbeach Football and Netball Club and also benefit from our expertise! Buxton will donate $500 to the club when you sell your property, or $250 if you appoint us to manage your rental property*. Call (03) 9591 0188 or visit our website to nominate your club now! *Only valid through the Buxton office. Lowe Farms is a family owned Australian company supplying quality produce to local & international markets. Frankston Floors is a timber flooring business specializing in sanding, polishing, staining, repairs, laying, floor removal and consultation for hardwood and engineered timber floors. Highly experienced in Commercial & Residential glazing ODS Glass has the knowledge and skill to complete any challenge thrown at us. Design Window Solutions specialise in custom designed solutions for aluminium windows & doors. Commercial Aluminium Doors and Windows, All Glass & Glazing. All Systems Scaffolding offer a wide range of scaffolding products to suit almost any access problem you encounter. Formation Finance provide quality financial planning advice in the South Eastern suburbs of Melbourne & Gippsland area. For a friendly intro call Yemi! Call Nathan on 0411 373 206 for all your electrical needs. 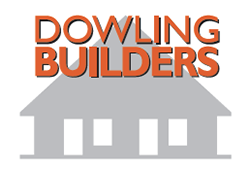 A consistently high standard of service, workmanship and exceptional building repairs at competitive prices. See Gerard for all your roofing needs! Visit our website to see what’s on! Call Glen for all your landscaping needs! Freshly Cut Meats at great prices! Pork, Lamb, Beef, Chicken, Marinated Meats, Spit Roast Hire & Catering. Drop instore for a bargain! All our materials are recycled from our demolition sites and are displayed neatly, where you will find a huge range of stock. Since taking out his license in 1991, Mick Price has firmly established himself as one of the leading racehorse trainers in Australia. For all your stonemason needs. Email southernstone@bigpond.com for a free quote! Lion is a leading beverage and food company with a portfolio that includes many of Australia and New Zealand’s favourite brands. message and bring your brand to life across any medium. Bonbeach Sharks proudly supports Bonbeach Auskick. At every home game our Auskickers put on a great 1/2 time heroes match. Head down to oval 4 on a Sunday to support our future stars. Go YC. Beyond the Boundary Line is a BFNC initiative focused on the welfare & the broader development of our participants & their families. In 2016, BFNC became the first metro sporting club to commit and partner with OTLR. We are thrilled to offer this amazing program to all football and Netball teams throughout the season.